One of the highlights of summer in Puglia returns this week and its celebrating a significant birthday! 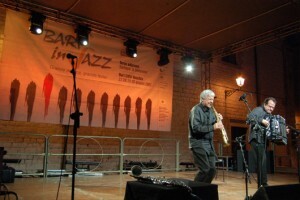 Bari in Jazz is marking its tenth edition with a 12-day series of international jazz concerts and shows featuring everything from improv to European and Afro-American music. Some of the top talents on the world jazz scene are in Puglia for interviews, seminars, performances and just to enjoy the incomparable atmosphere of the region’s fascinating capital city as it turns into a huge open air jazz club.